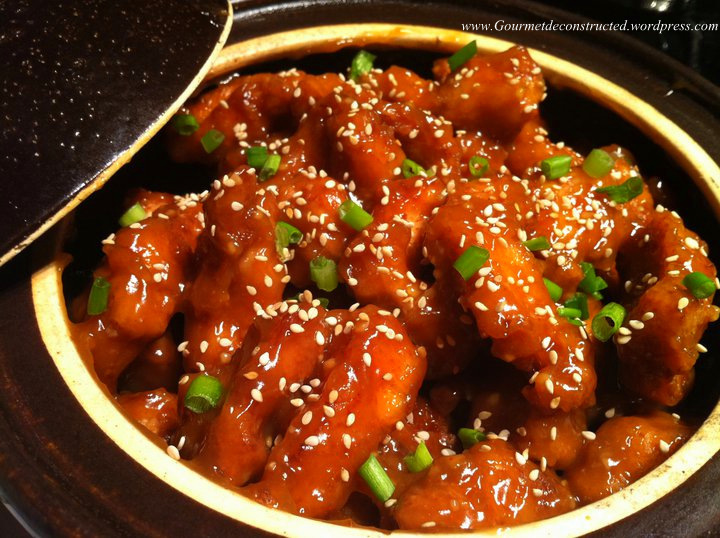 Posted on August 16, 2011, in Poultry and tagged asian cuisine, sesame chicken. Bookmark the permalink. 7 Comments. Reblogged this on Gourmet De-Constructed. Very nice looking Justice. I’ll bet it was tasty. I’m having a hard time finding the chili paste.. any suggestions?